of the Strand. Fishing trawlers come n close by and the gulls know there will be some food for them. Ha ha, they all look ready for a fight. It’s all about the food opportunities! Great capture. Looks very warm there. A nice place to wade though that blue water. @onewing @peterday @happysnaps @louannwarren @paul10 @rosiekind @pej @jacqbb @Dawn @grammyn @rickster549 Thanks for the kind comments and fav, it is very much appreciated. 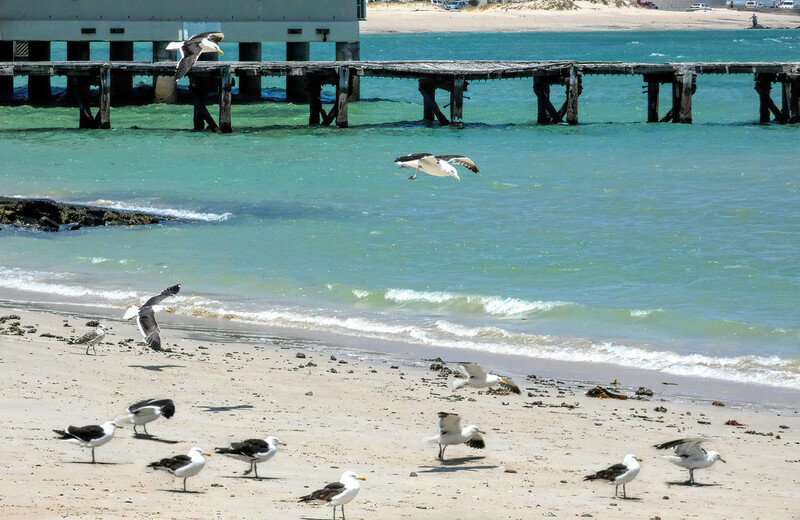 Beautiful capture of the gulls, water and jetty.